NuShield, Inc., the leading manufacturer of non-adhesive, screen protectors has created a new film size that will help protect the LCD display monitors of Micros Systems devices. 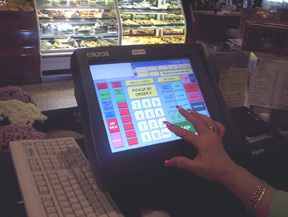 Micros Systems, Inc. provides information management solutions to the restaurant and hospitality industry. Their systems are used by an increasing number of restaurants where waiters key in the orders on the LCD touch screen display monitor. The cost to replace these displays is high, especially when they are out of warranty. 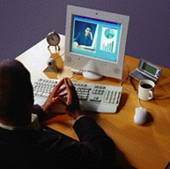 The protective coating on the LCD display monitor is not strong enough to withstand scratches made by pencils, pens, fingernails or other sharp objects over an extended time period. Repetitive tapping can also decrease the sensitivity and make the screen malfunction. The patent-pending technology formulation makes NuShield films abrasion and chemical resistant. They are designed to protect the LCD display monitor not just from scratches, but from unattractive fingerprint marks, smudges, and spills that can cause operating problems. NuShield is made from a super-thin material and provides excellent touch and stylus response. Unlike vinyl-based products that cling or adhere to the device, NuShield films provide long lasting protection under extreme temperatures and are better suited to protect against chemical contact. One of the main features of the NuShield film is that it can be removed, cleaned and reinstalled to extend the life cycle of the film. 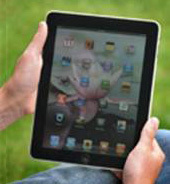 NuShield films can provide screen protection up to one year.